All over. Grew up in Kenya but landed in Forsyth in 2001. What started as a pop-up marketplace in our co-working space Foster ATL turned into a full on reality last November. My goal has always been to help bridge the gap between where artists, makers, and entrepreneurs are currently and where they’d like to be. We curate an incredible line-up of brands from local and abroad and brings them to one storefront. We currently have over 75 companies represented in the shop and are growing almost every other week. My favorite project we’re working on now is building out the in-store makers space! Bradley Mountain, Billiam Jeans and Mick Bailey Boards. Biltong Bar is my spot. GREAT cocktails (I’m a whiskey man) and their staff is killer. Botiwalla and Ton Ton are pretty much a daily tradition for me. Spiller Park is also the reason I’m not mad all the time. Need that caffeine. 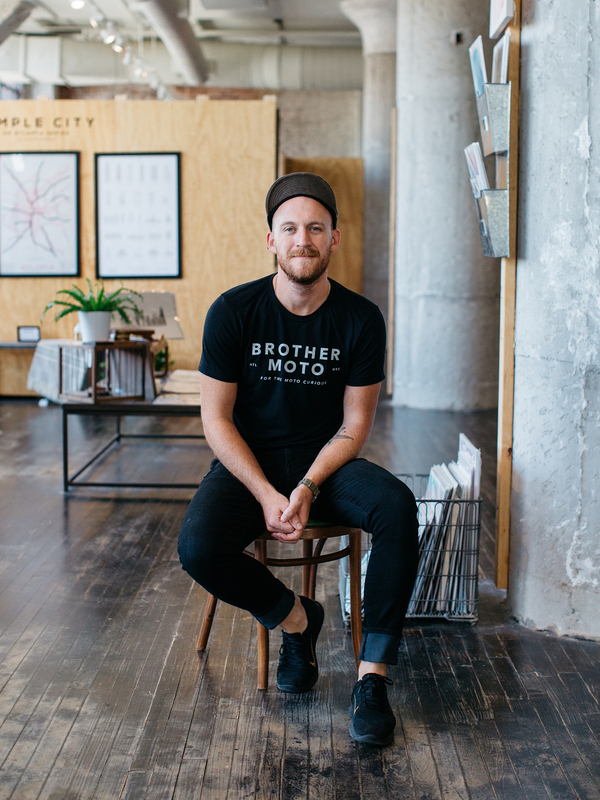 Meet Phil Sanders, Founder of Citizen Supply in Ponce City Market.